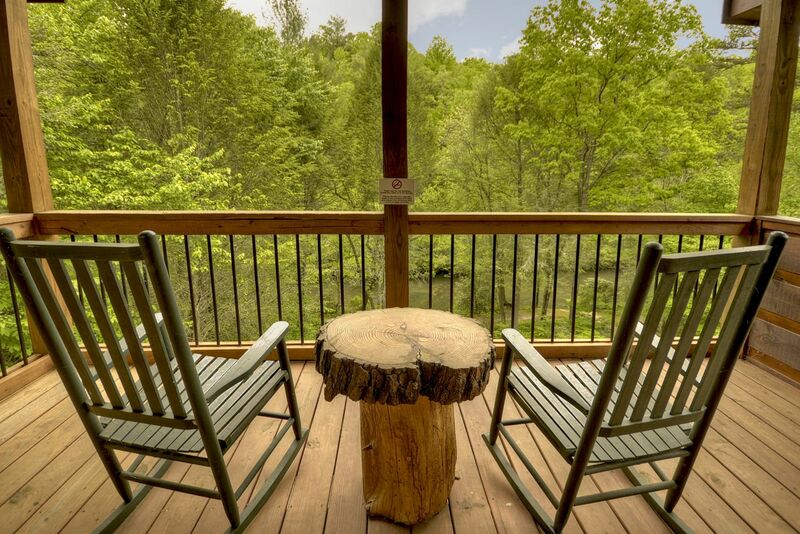 Here's an impressive Fightingtown Creek cabin rental that offers the ideal opportunity for solitude, and just a few minutes away from McCaysville and Blue Ridge. 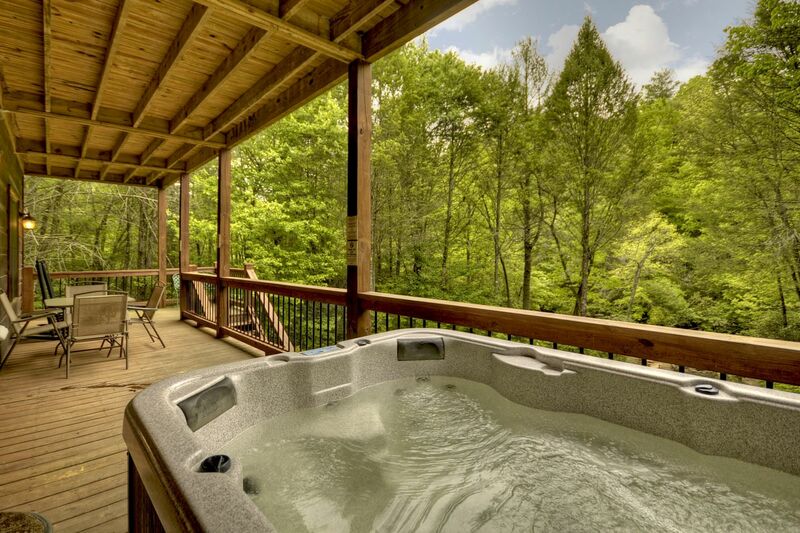 This 3 bedroom, 3 bath cabin consists of a spacious master suite with a private deck, walk-in closet, and luxurious bathroom with a walk-in shower and jetted garden tub. 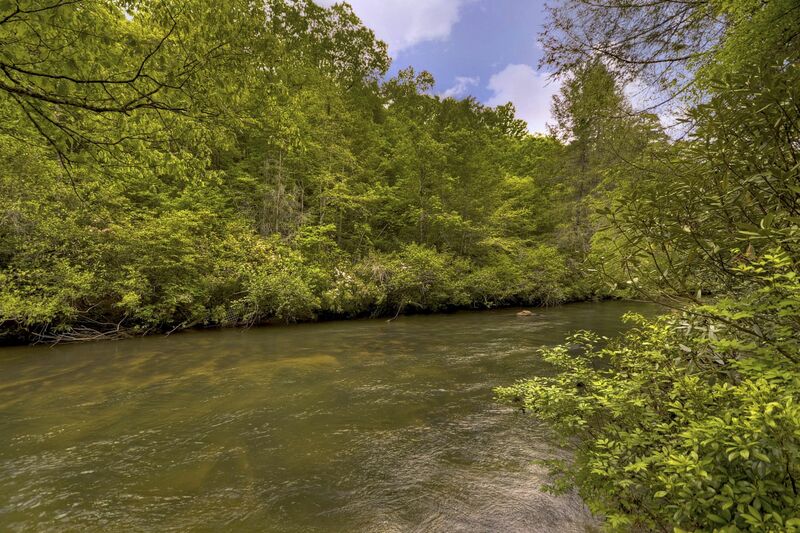 The cabin rental has gorgeous tongue-and-groove woodwork, and hardwoods throughout, and windows galore to truly take advantage of the creek view. 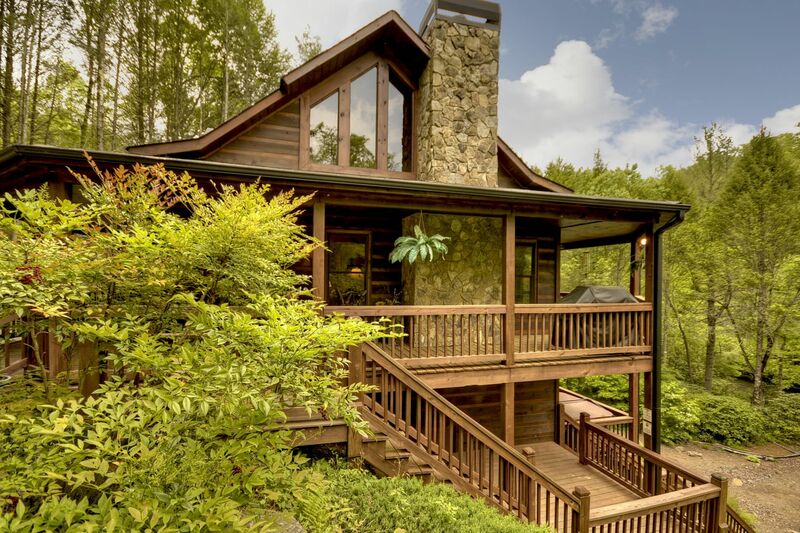 The cabin's main floor has a great room with vaulted ceilings, a stacked-stone wood burning fireplace, and French doors to offer a view of the beautiful creek below. 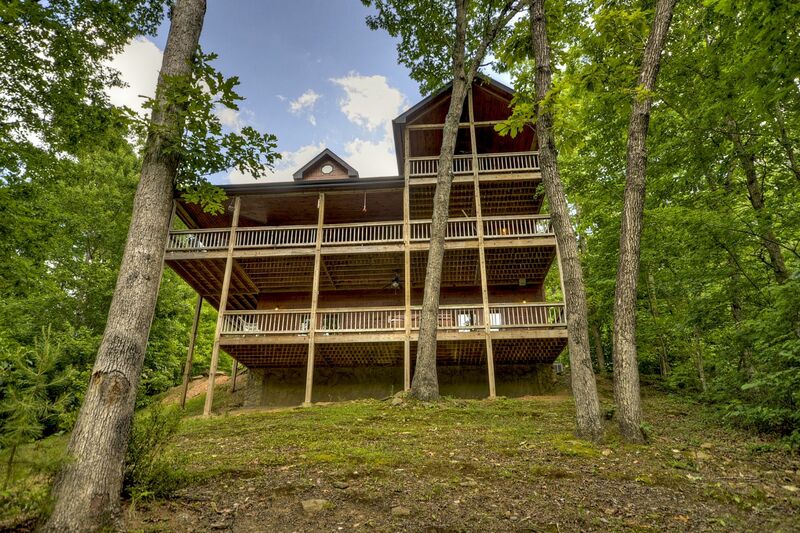 The cabin's impressive kitchen has custom cabinets, granite countertops, and stainless steel appliances and the amazing amenities continue to the terrace level, where there is a second stacked-stone gas fireplace, great room, bedroom, and a full bath. 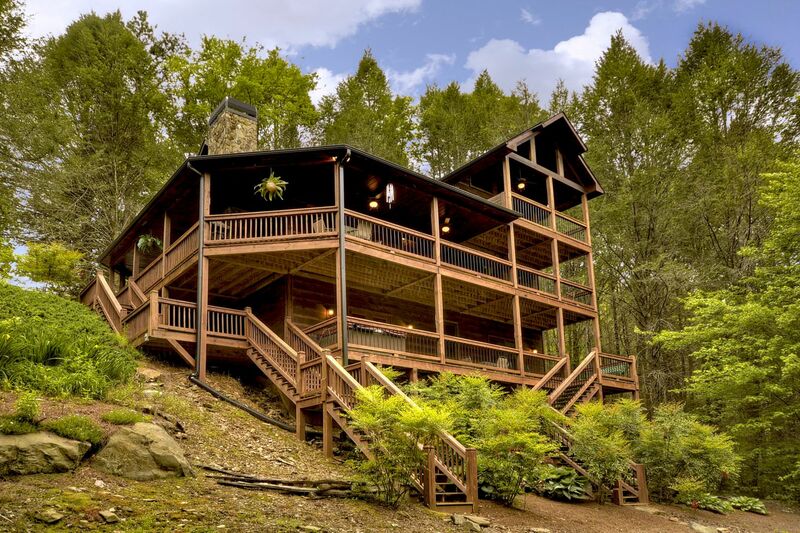 All of the cabin`s bedrooms front Fightingtown Creek, which enables guests to truly enjoy the glorious views and soothing sounds of the water below. With so many amenities and such a stunning setting, you'll want to return each year. 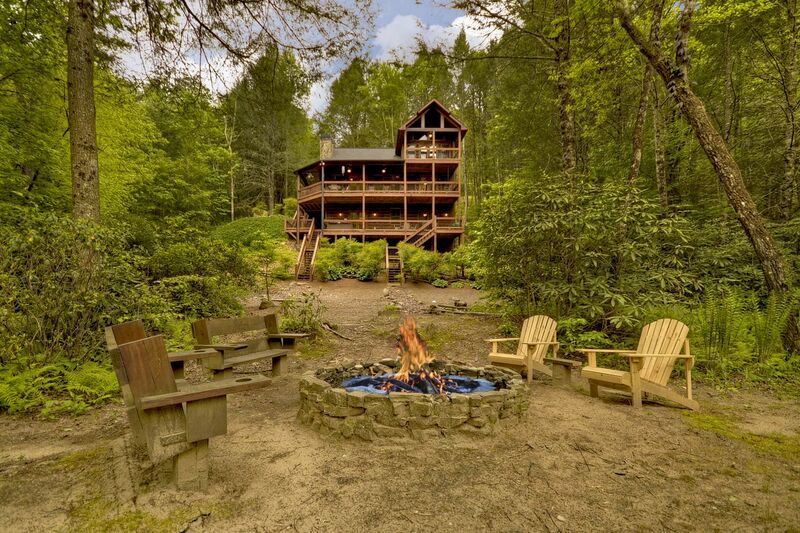 The cabin itself couldn't have been any better! It was immaculate and beautiful. It had everything we needed including: tvs, starter amounts of dish soap, bath soap, paper towel, toilet paper, kitchenware, gas fireplace, wood burning fire place, hot tub, pool table, air hockey, foosball, horseshoes, fire pit, Fightingtown Creek water front, ect. They are building a new home next door but we had no problem with them and they weren't noisy. Still felt very private. There is an odd hippie/psychic school nearby but also had no problem with that either (just a little odd). McCaysville itself was an okay experience. Had some bad areas and some good; you can tell it's trying to grow. Did most of our exploring 9 miles away in downtown Blue Ridge. Great restaurants and cute shops. 15 minute drive. Also, definitely check out the Mercher Orchard place. I thought it was a tourist trap at first but it has lots of cool stuff, yummy food and breakfast. If you want to go for mainly fishing and chilling like us, check with local guides first. Any outfitters could give you a thumbs up or thumbs down. Our experience was unfortunate on this front. 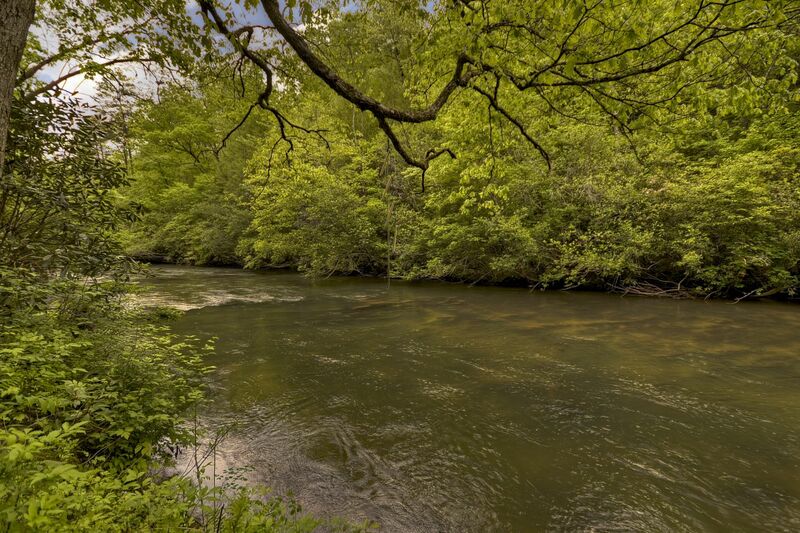 The creek was more like a 20 knot flowing river with 0 chance of fishing. The normal nearby fishing areas were pretty much a shut down as well.